The IASB meets with representatives of companies that use IFRSs at meetings known as the Global Preparers Forum (GPF). The meetings are normally held three times as year and at the IASB's offices in London. The purpose of the Global Preparers Forum is to provide input into concepts and proposals that the IASB is developing and offer advice to the IASB on the practical implications of its intended proposals for preparers of financial statements. The meetings are open to public observation and are also webcast. Representatives of the IASB met with the Global Preparers Forum (GPF) in London on 6 November 2018. Notes from the meeting have now been released. Representatives from the International Accounting Standards Board (IASB) met with both the Capital Markets Advisory Council (CMAC) and Global Preparers Forum (GPF) in London on 14 and 15 June 2018. Notes from the joint meeting have now been released. Representatives from the International Accounting Standards Board (IASB) will meet with both the Capital Markets Advisory Council (CMAC) and Global Preparers Forum (GPF) in London on 14 and 15 June 2018. The agenda for the joint meeting has been released. Representatives of the IASB met with the Global Preparers Forum (GPF) in London on 6 March 2018. Notes from the meeting have now been released. Representatives from the International Accounting Standards Board (IASB) will meet with the Global Preparers Forum (GPF) in London on 6 March 2018. The agenda for the meeting has been released. Representatives of the IASB met with the Global Preparers Forum (GPF) in London on Wednesday, 4 October 2017. Notes from the meeting have now been released. Representatives from the International Accounting Standards Board (IASB) will meet with the Global Preparers Forum (GPF) in London on 4 October 2017. The agenda for the meeting has been released. Representatives from the International Accounting Standards Board (IASB) met with both the Capital Markets Advisory Council (CMAC) and Global Preparers Forum (GPF) in London on 15 and 16 June 2017. Notes from the joint meeting have now been released. Representatives from the International Accounting Standards Board (IASB) will meet with both the Capital Markets Advisory Council (CMAC) and Global Preparers Forum (GPF) in London on 15 and 16 June 2017. The agenda for the joint meeting has been released. Representatives of the IASB met with the Global Preparers Forum (GPF) in London on Wednesday, 8 March 2017. Notes from the meeting have now been released. Representatives of the IASB will meet with the Global Preparers Forum (GPF) in London on Wednesday, 8 March 2017. The agenda for the meeting has been released. Representatives of the IASB met with the Global Preparers Forum (GPF) in London on Tuesday, 29 November 2016. Notes from the meeting have now been released. Representatives of the IASB will meet with the Global Preparers Forum (GPF) in London on Tuesday, 29 November 2016. The agenda for the meeting has been released. Representatives from the International Accounting Standards Board (IASB) met with both the Capital Markets Advisory Council (CMAC) and Global Preparers Forum (GPF) in London on 15 and 16 June 2016. Notes from the joint meeting have now been released. Representatives from the International Accounting Standards Board (IASB) will meet with both the Capital Markets Advisory Council (CMAC) and Global Preparers Forum (GPF) in London on 15 and 16 June 2016. The agenda for the joint meeting has been released. Minutes of the meeting of the Global Preparers Forum (GPF) with representatives of the International Accounting Standards Board (IASB) held in London on Wednesday, 2 March 2016 are now available. Representatives of the International Accounting Standards Board (IASB) will meet with the Global Preparers Forum (GPF) in London on Wednesday, 2 March 2016. The agenda for the meeting has been released, which includes updates from the IASB and IFRS Interpretations Committee, discussions on specific topics including the disclosure initiative, effectiveness of disclosures, share-based payment, impairment requirements in IAS 36, and rate-regulated activities. 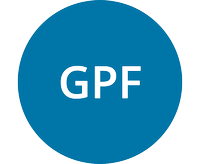 Minutes of the meeting of the Global Preparers Forum (GPF) with representatives of the International Accounting Standards Board (IASB) held in London on Wednesday, 4 November 2015 are now available. Representatives of the International Accounting Standards Board (IASB) will meet with the Global Preparers Forum (GPF) in London on Wednesday, 4 November 2015. The agenda for the meeting has been released, which includes updates from the IASB and IFRS Interpretations Committee, discussions on specific topics including the conceptual framework, role and activities of the IFRS Advisory Council, the 2015 Agenda Consultation and the Review of Structure and Effectiveness, fair value measurement, and the disclosure initiative. The IASB has released a summary of the Capital Markets Advisory Committee (CMAC) joint meeting with the Global Preparers Forum (GPF), which was held in London on 11–12 June 2015. Representatives from the International Accounting Standards Board (IASB) will meet with both the Capital Markets Advisory Council (CMAC) and Global Preparers Forum (GPF) in London on Thursday, 11 June and Friday, 12 June 2015. The agenda for the joint meeting has been released. Minutes of the meeting of the Global Preparers Forum (GPF) with representatives of the International Accounting Standards Board (IASB) held in London on Thursday, 5 March 2015 are now available.